With 80,000 points on offer on the American Express Platinum Charge, I thought I’d really get stuck into what you get for the jaw-dropping $1450 annual fee. Over the course of a few posts I’ll try and really get into detail about how the Platinum Charge benefits work, what happens when you first receive your card, and how to start using some of the benefits to start getting value from the card. Outside of pure points earn, the Platinum Charge is known for it’s travel, dining and lifestyle benefits and partners, and this is where I’ll focus in the upcoming few posts, as this info is hard to come by in heaps of detail online. 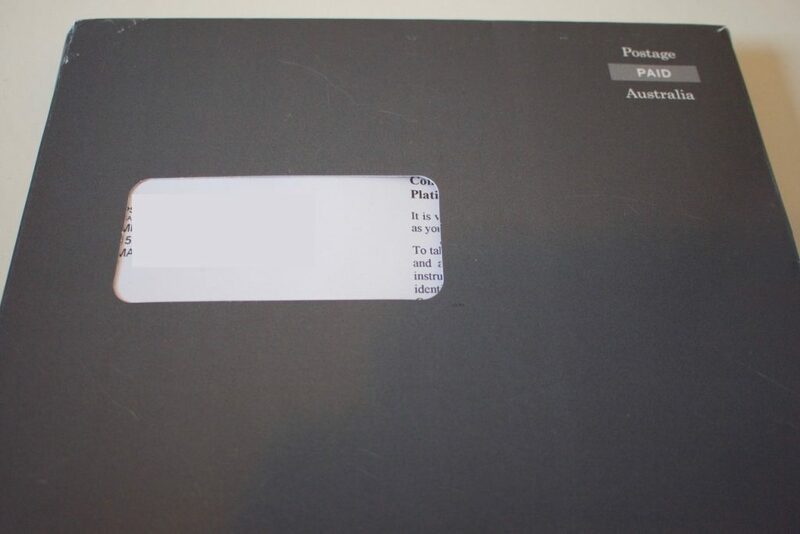 So, first let’s look at what you’ll receive once (if) you’ve been approved for the card. Firstly, a box with a bunch of paperwork, along with your card inside, will show up on your doorstep. 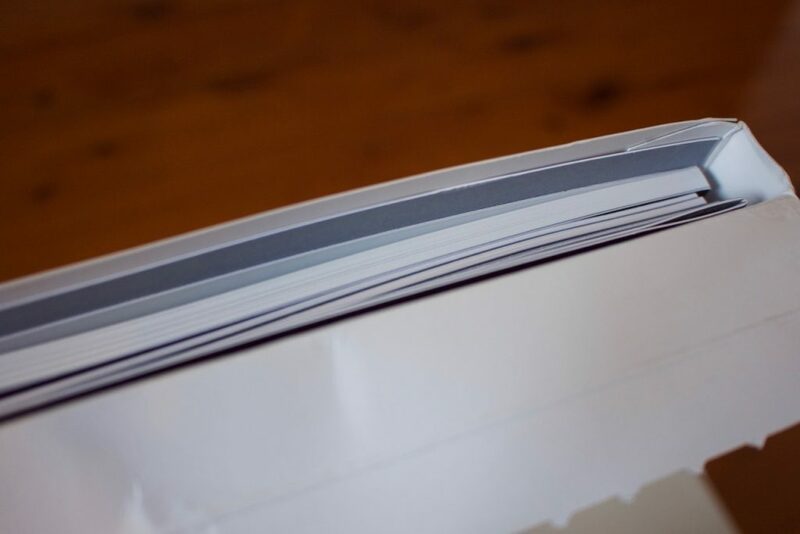 Amex definitely decided that using a few trees are in order to welcome you to your $1450 per year Charge card. Once you open it up, you’ll start cracking through the paperwork. You may have done this during the application process already, but if you haven’t, now is the time to make sure you have the most possible points-earning power by adding any necessary additional cardholders to your account. 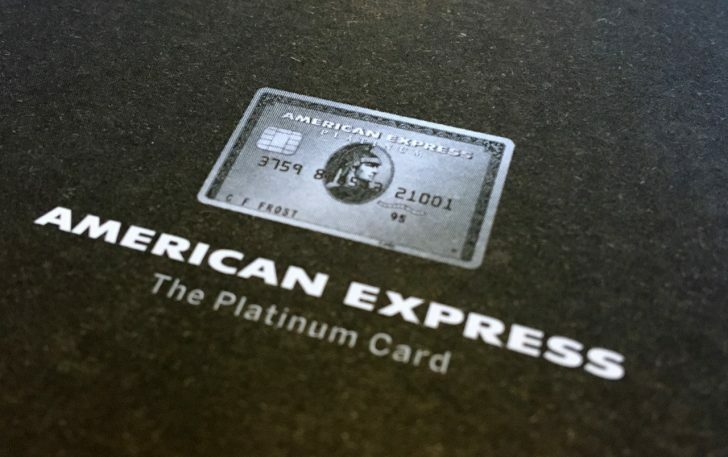 There’s a distinction here which is unique to Amex, and I think to the Platinum Charge – supplementary cardholders are the usual extra cards for other people who use your card, but you can also request additional cards as well. These are extra cards in your own name. Potentially other banks can do this too, and the reason to do so is primarily if you want to allocate business expenses to one card and personal expenses on the other – reports can then be run to pull out spend on each card which is handy for expenses and tax time. 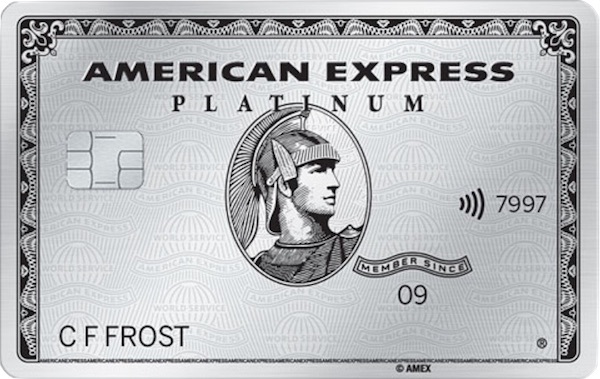 If you know you’ll want to also apply for the complimentary Platinum Reserve card (which offers the same points earn categories, but also a free Virgin Australia flight or hotel night as well) then you’ll need to apply again for this card through Amex by filling out an application form, which you can request over the phone or through secure messaging online. At first glance it makes sense to get the Reserve as well, but there are some considerations to be aware of. Firstly, the card is not just sent to you immediately – American Express will perform a credit check before they will approve you for the card, so be aware of that. Then, there’s also the limitation that American Express apply to how many Amex-issued cards you can hold – this is 2 charge cards plus 2 credit cards in total. If you already hold another two credit cards from American Express – say the Business Accelerator and the Platinum Edge – you’ll be asked to close one before being given access to the Reserve. This isn’t a recommendation to go one way or the other with the Platinum Reserve card, just that you should be aware of those factors before going ahead. As soon as you’ve activated your card, you can then also set it up in Apple Pay if you’re an iPhone user. There’s more on Apple Pay here, and ANZ also just came on board as Apple Pay compatible. It’s pretty handy when managing spending across credit cards. The Platinum Charge comes with Priority Pass lounge membership (which I’ll go into in more detail in a future post) for you and a supplementary cardholder. That membership needs to be requested over the phone with Amex as well, so make sure you request that – it will take a few weeks to come through. Once you’re logged in with an activated Platinum Charge card, you can then start browsing around the features unique to the Charge on the Amex website. These all appear with a new black menu bar appearing once you’ve logged in. That’s it! $1450 is a whopping annual fee for a single credit card, and definitely isn’t for most people. Hopefully by getting into the offering from Amex in more detail you’ll start to get a sense of its relevance for you. this site is very helpful…. based on your experience or do u have any experience that the application for the reserve card being knock out? I was hoping to convert that explorer card to platinum reserve card as a companion card to save the annual fee of from the explorer card.. but the rep said that it is not possible… they said that i can only downgrade my explorer to essential, velocity premium and qantas premium..
anyway given the situation that i have high credit limit with my explorer with a balance of less than a thousand. do i have a high chance of getting the platinum reserve card? -from my experience when i called them, the rep asked me which MR tier i want to keep, she suggested to keep the Accent Premium as it is the highest tier and what they did was merge the two so that all my points from explorer and platinum charge will go to one MR bucket and also to avoid having lots of MR membership. – this is just to answer the question above. Hey Anthony – we can’t comment on how likely it would be for you to get the Reserve card – no formal policies or data to share really. I haven’t heard of a Charge cardholder been turned down for one though as long as they are within the two charge + two credit card limit that Amex apply. What are the benefits of the Platinum Reserve for year 2017 ? AFAIK it’s $400 travel credit and same points earn as Charge. Not sure on points cap. Amex are not actively promoting the card as a benefit, so I guess it could be removed at any time. Do you think is it useful to have both credit card & charge card from Amex? It would be useful to some, but not others. Hard to generalise here. Did you order any supplementary cards? For the personal platinum card I found my supplementary card arrived first, with the welcome pack a few days later. In terms of online access a common problem (again, talking about the personal card from my experience) for those who hold other Amex cards as well as Platinum is that online services don’t reflect your Platinum cardholder-ship when you log in and show you the right portal. Amex should be able to correct that if you ask them to make your Platinum card your primary card online, or words to that effect. AFAIK the Business Platinum online services should reflect the personal card, but if I have been misinformed there I will fix that up in this guide. Please report back if you have success. I’d suggest sending them the link to this page using secure messaging and point out what you’re trying to achieve with online services and check that it should be possible. As to your last question – check out RewardPay. 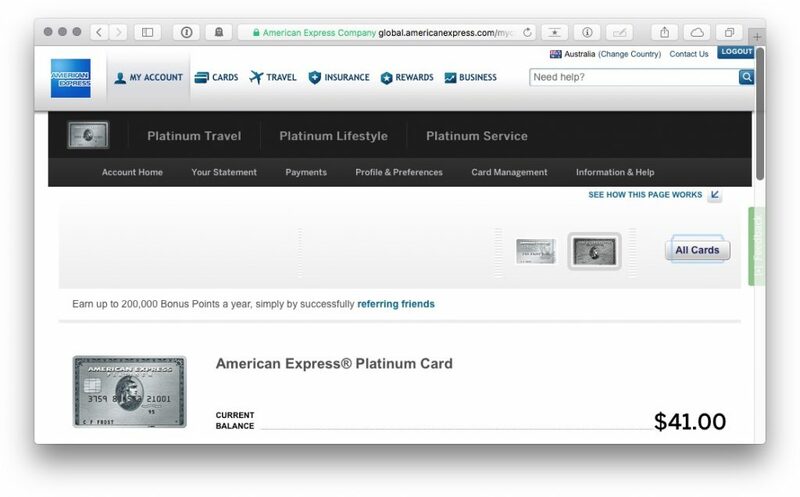 Has the AMEX platinum reserve been discontinued? I can’t find any more details about it on their website. It is only available for Platinum Charge cardholders and even then only on request – Amex don’t promote it at all. I have also heard you get a status teir with Hertz with this card? Yes, you get Hertz Five Star. A guide to included statuses with the Plat Charge is coming next week. Keith, how do you rate the value aspect of this card? I collect points in multiple programs for J/F redemptions and as much as I’d like to get an Amex Platinum, I struggle to see any major benefit(s) that jumps out as being worth the hefty $1,200pa fee. – Membership in hotel elite tiers – still need to hit re-qualification targets from my understanding and if you already have elite status from other methods (quite easy these days), it’s another irrelevant benefit. 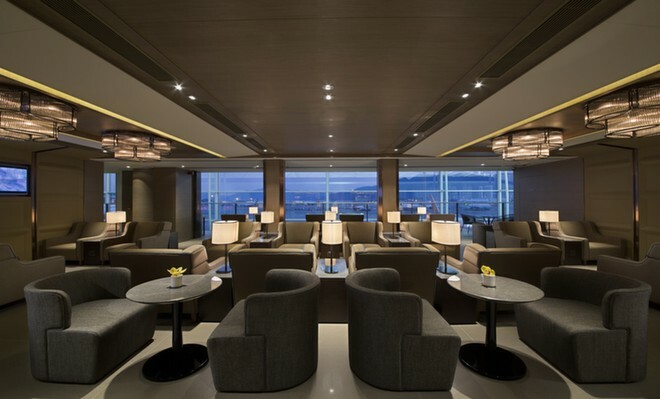 One thing you haven’t mentioned is the Platinum Reserve that comes with no annual fee with the Charge. That gives another free flight or a free hotel night. I’ll get into that in an upcoming post. Otherwise your points are all valid, but I’d disagree that the $300 travel credit is not useful – use it for a hotel instead and it’s a free night at a good hotel bookable through Amex travel. The hotel status might be renewed in perpetuity as a Charge cardholder but I am looking into that specifically in the next few days to make sure I have this right, as a new holder I’m not fully across that. But yes, the Charge totally won’t make sense for many people. I’ve had my Platinum card for a number of years and find it great value for money. My advice is to develop a relationship with one of the Platinum service travel agents. Once they know what you like you can save even more money as they will put the right offers in front of you – particularly ones that are not published. I booked a business class flight to Europe last year, and before I paid for it my agent contacted me saying the airline had an unpublished free upgrade offer on as long as I could pay within 24hrs. I therefore got a first class flights, with first class status and mileage credits for the price of a bus class fare – that I had already got an excellent deal on! Hey Rosco – Membership Rewards points can be transferred over to one of many, many airlines. There’s a full guide to the MR program here. Transfer rates are simple at, for most programs, one point = one frequent flyer point, so this is 100k Velocity Points, 100k KrisFlyer miles etc. 100k Velocity points could be used for a one way Business Class flight to Los Angeles with Virgin Australia or Qantas, or a one way Business Class ticket to Europe with Singapore Airlines, subject to availability of course. Just a couple of examples. Any chance of a quick thought comparing the $1200 Personal Platinum charge vs the $1500 Business version; Given I could separate out business expenses on 2 separate personal cards as per your note above, the only real difference I can see to justify the extra $ is included business insurance? Hey Peter – full guide to the Business Charge is here. In short, you get bonus points for advertising (could be a very fast points earner for the right business owner) and there’s a slightly higher points cap as well. There’s also access to a Business Concierge too. I already have reserve credit card, amex Qantas credit card and gold charge card, would Amex just make the reserve fee free ? Would I be ineligible for the 100k bonus points. You’ll need to check with Amex on both those points. I am guessing they would make the existing Reserve fee-free, but not sure. Worth noting that the 3x restaurant points only count for stand-alone restaurants. I’ve found pub/club restaurants come-in at 1x and hotel restaurants come-in as “Travel”, so 2x. IMHO it’s certainly worth getting the card for the initial 100000 points (or 120,000 with referral). It’s a more difficult question of whether it’s worth keeping it past the first year. I have heard that Amex customer service is very good about crediting extra points for restaurants that don’t show as restaurants for points earn. Easiest way to do this is to go through your statement monthly and do an online message pointing out any discrepancies. You should be able to get them fixed up. The longer answer is that the merchants need to be categorised as restaurants to count. If it’s the same account across a whole pub/club, then it won’t count. Sadly it seems that overseas restaurants primarily count as foreign spend and not “restaurants”, so you only get 2x points on these (and incur the foreign-spend fees). To their credit, they gave me a good-will points-bonus in consolation. Thanks for feeding back. I think they are quite happy to keep the good-will points flowing for good customers that want to get them credited properly, as it’s not your fault if a restaurant is not correctly categorised as one in their system. It’s just fiddly to do though, so I guess it depends on your spend or # of transactions at at restaurants vs ROI for time spent. I note that the Platinum Edge and Platinum Charge have different rewards programs – if you hold both do the Platinum Edge points accrue to the Platinum Charge’s rewards program or are they stuck in separate accounts for life? Great question. In theory they are independent programs. However from my experience, it seems like Amex have some discretion over a number of options – combining accounts so all points are earned into one, or transferring them between programs.. all depends on which phone agent you talk to as to what they are able/willing to do. Kind of helpful, I wish this were more official as I think Charge + Edge holders should have their loyalty rewarded and this would be an ideal way to do so. i’d love to see your verdict on the concierge services for this card. i have a westpac black altitude MC/AMEX – i have a special APP and i have involved their black concierge services 5 or 6 times and found them totally useless. They have wheedled out of every request and you seriously get the impression of them in an office with their feet up. This is where this card could become tempting. Also i have a collegue who gets flight upgrades with his AMEX – is that the AMEX Black or this one? I’m tempted…. but would love more than 1 point per purchase on everything else…. My Velocity Plat card works wonders too earning points and great value… so.. should I get this car or the Platinum Edge one? I can’t advise which to go for. They are two very different beasts, with quite different benefits and target markets. That said I know of many people who end up using both Edge and Charge.